Raspberry Pi Foundation has announced yet another addition to their low-cost credit sized computer family. 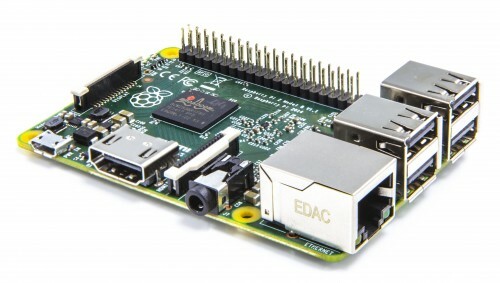 Ebon Upton, CEO and founder Raspberry Pi, this Monday unveiled the latest addition, Raspberry Pi 2. This new Raspberry Pi costs same as the former but offers performance boosts up to six times than the previous generation models. There have been several performance enhancement based upgrades in this model, such as the memory and new processor. Going deep with the specifications, Raspberry Pi 2 offers double the RAM than the previous version, and the foundation has installed 1GB LPDDR2 RAM, up from 512 MB. It has a new Broadcom BCM2836 quad-core Cortex-A7 processor kicking at 900Mhz. GPIOs have also been increased with a 40 pin header for connecting more peripherals and advanced modules. Raspberry Pi that always been a part of basic computing and development of various IoT projects will now also support microSD operating system boot. It also supports the same old VideoCore IV GPU for enhanced performance and stability. Previously only Linux operating, including Raspian and Pidora, were part of the Raspberry Pi catalog. Technically speaking, Raspberry Pi Foundation will be providing you with a Windows 10 computer that is only going to cost you $35. Raspberry Pi is of great help in the remote areas of Africa and other parts of the world, where the reach is computers is restricted. In this scenario having a low-cost computer that can teach kids and adults about interacting with computers would be of great help in making this world more educated.